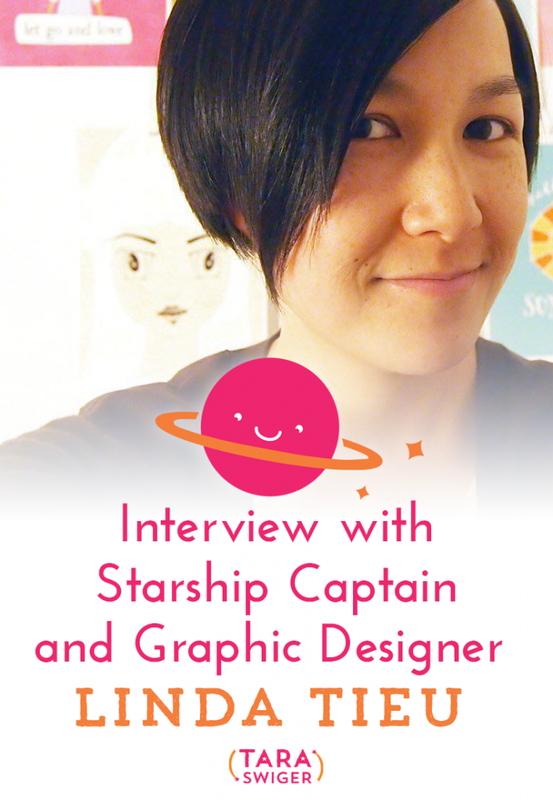 Today I'm happy to be sharing an interview with Starship Captain and graphic designer Linda Tieu. 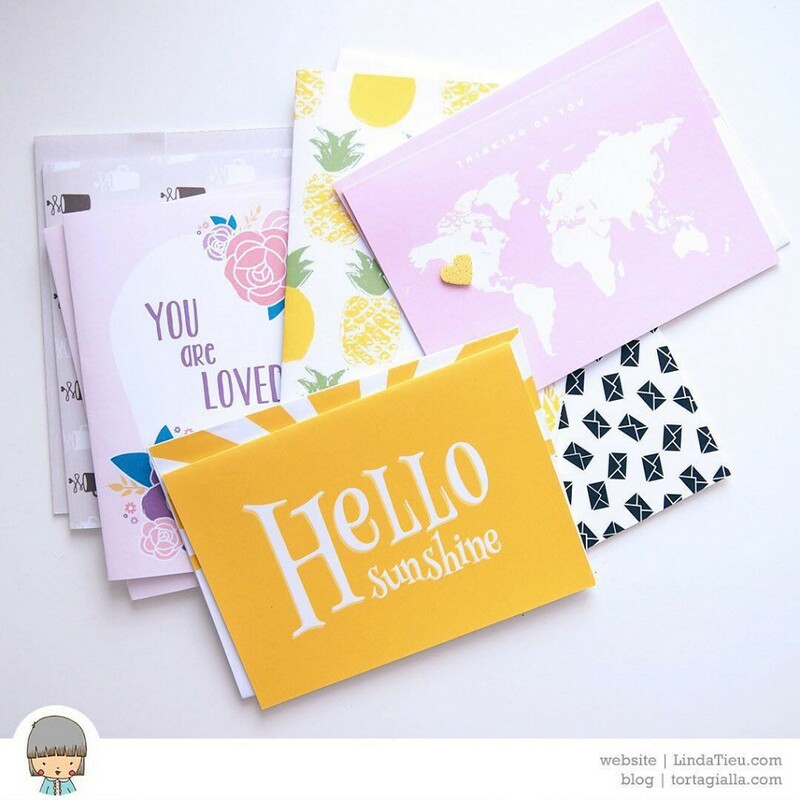 Linda is the creator of HappyPrintClub.com – a library of digital printables for paper lovers, snail mailers and crafters. 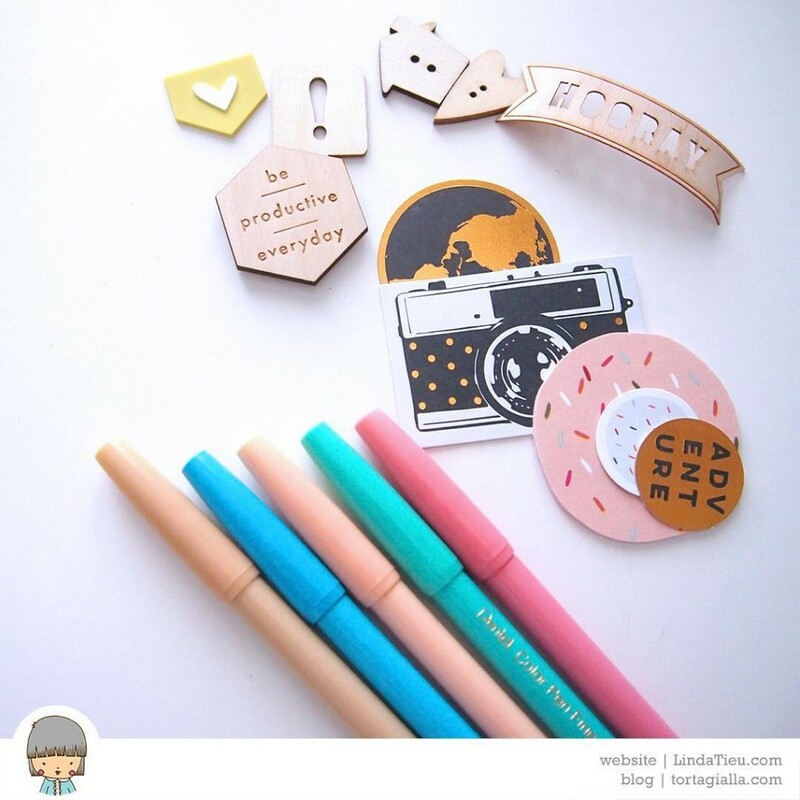 You can follow her creative adventures on tortagialla.com where she shares printable downloads and fun crafty tutorials. People have this fantasy of what it's like to be a full-time maker. But what's a normal day for you really like? A normal day starts with getting my kids up and ready for the morning and getting my toddler to nursery school while my younger baby stays with me. The work day is a lot of back and forth, juggling time between mom duties, household duties and work duties. If you compare to a regular 9-5 job, it's like having a whole of meetings throughout the day, cutting your time into little chunks. I have to prioritize my tasks and try to utilize every small chunk of time I get. Often, I do catch up at the end of the day, late at night. It's not really glamorous at all – it's just real life! There are so many ways to make a living as a maker – how are you doing it? What have you combined and how has that changed through the years? I used to work in tech startup environments so it was very fast paced with long hours. Now that I'm on my own, it's still hard work but it's on my own terms for my own ventures. I've taken my experience in business, project management and design and turned it all into a freelance lifestyle that matches up with the season of my life, being a mom of young kids right now. I used to work more hours before I had responsibility of kids. Now, I've had to cut back on my hours and build passive streams of income to make ends meet. Ultimately, it's about creating a lifestyle that I want and having the freedom and control to change with the times. What new thing are you exploring now? I'm working on building up HappyPrintClub.com which is a library of digital printables for paper lovers. 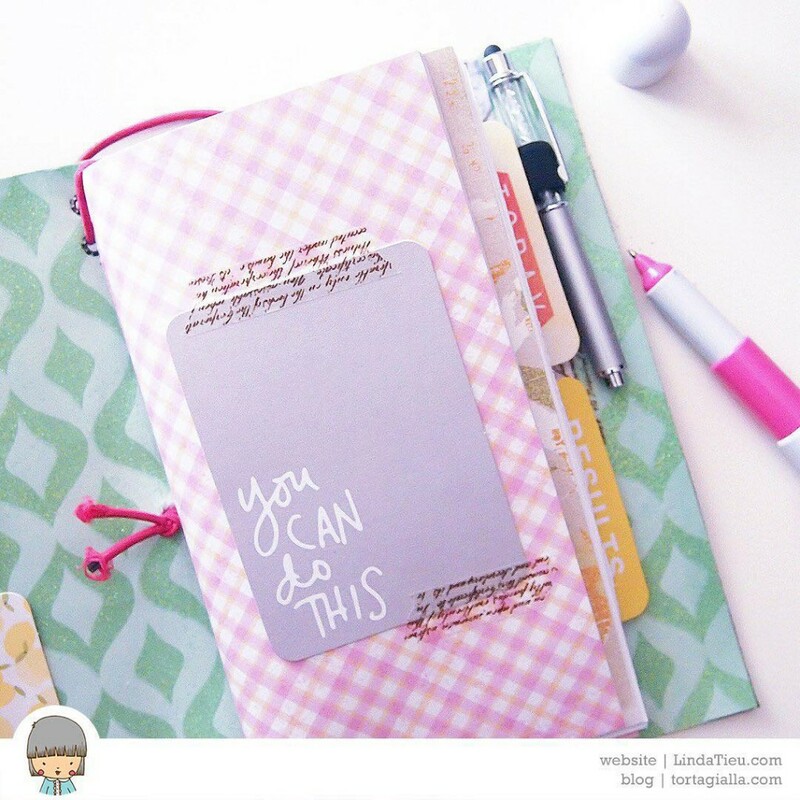 Members sign up to get access to the entire library of printables that I continually post to every week. Instead of selling each item separately, I'm putting it all together and letting it grow to offer my members the best value. This is one of my projects that brings me income while doing something I love – which is creating printable designs. In my mind, it's a win-win because I get to create continually and members get a HUGE deal. There's nothing more satisfying than seeing my work out there in the world, giving people enjoyment and satisfaction. What's your definition of success in your business? I used to think success meant an income number or certain recognition, but over the years I've realized that success is actually how I feel at the end of the day. What's most important to me is feeling fulfilled, productive and good about what I do. If I feel good about what I've done when heading off to bed, it means I'm doing it right and all the other pieces are fitting together properly. Sure, we might all have off days, but the core feeling is what I'm getting at. When you are happy, it means success! I'm hoping to build up the membership on HappyPrintClub.com even more and will continue to add more projects to my design portfolio because ultimately, I love creating and sharing my work with others. I have a huge list of ideas, so it's just a matter of taking one step at a time. 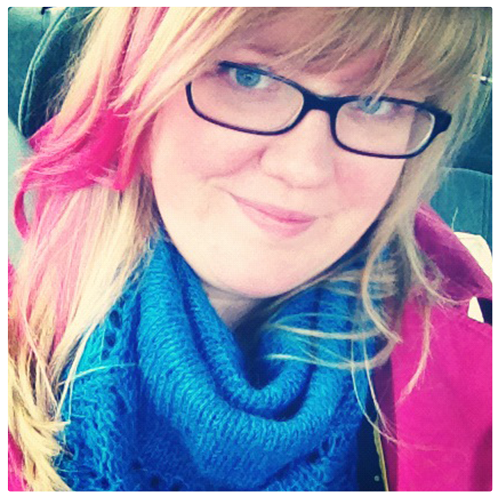 The next project on deck has to do with sheep – for all my fiber lovers out there! Want to hear from more Starship Captains like Linda and learn how they balance life + work as creative entrepreneurs? Sign up below to get the inside track on their stories!